Finally a place where getting high speed wifi isn’t like searching for the Holy Grail! The newest crystal lagoon community, Epperson, in Wesley Chapel will have 100/100 speed wifi throughout the WHOLE community. Now the dream of working from the pool can be a reality! Better yet, it’s all included in your monthly HOA. The developers behind the community are Metro Development Group, the same group behind Union Park, another Ultrafi community in Pasco County. The homes inside of Epperson are designed to be smart homes. The builders will customize your home based on how smart you want it from just a few switches to whole house automation. With a range of builders in the community, all price ranges are catered for from the mid $200s to the high $500s. The amenities planned are cutting edge. Firstly the 7.5acre crystal lagoon will feature a membrane that will maintain the cleanliness of the water and the sonar surrounding the area will deter wildlife from sharing the facilities! The lagoon will be up to 10 feet in the deepest sections and kayak and other non-motorized water sports will be offered with rentals available. Initially to help with costs, non residents may be able to pay for passes, but the goal is to have the lagoon for resident use only. In addition to the lagoon, running trails and outdoor space is planned throughout the community. Metro Development are also planning another lagoon community in the same area called Morada and he lagoon there will be the biggest in North America at 12 acres! The price range is higher, starting in the $500s and as expected the homes will have a higher end finish and larger lots. The area is being dubbed ‘The Connected City’ but will eventually be renamed when complete and an additional exit off of I75 will be opened for more efficient access and an easier commute to and from the area. 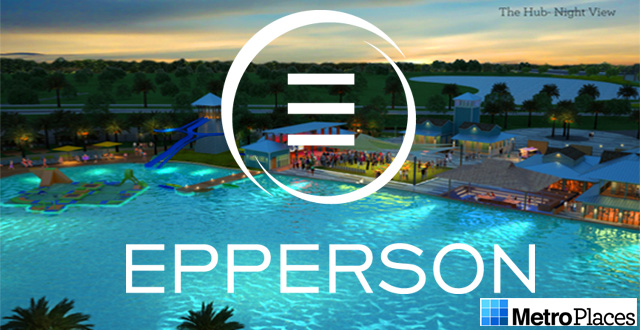 Epperson lagoon is on schedule for completion in December and lots are selling fast so be sure to contact The Delgado Home Team to ensure that your new home become as reality!